My first two days as Digital Education’s new Distance Learning Facilitator (hi!) were spent at the UK and Ireland edition of MoodleMoot 2017 taking place in London. 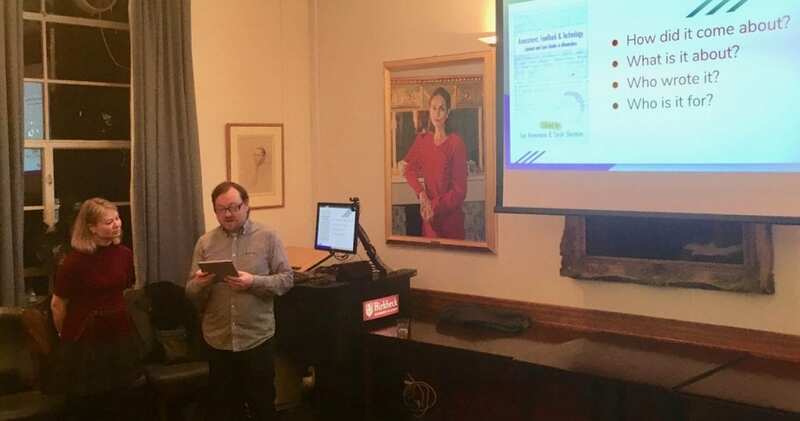 Presentations ranged from the more technical aspects of Moodle implementation to reports into its more pedagogically-driven uses and impacts. My note-taking over the course of a packed conference schedule was frenzied and now, upon writing this post, occasionally unintelligible, so rather than provide a full overview I’ll reflect upon two presentations in greater detail. This project was described by Mark as a means of supporting flexible or distance learners’ transitions into higher education. Despite an established distance learning provision, DCU’s programmes had, like many institutions, experienced higher levels of attrition than those seen with more traditional face-to-face courses. Mark reported that this is largely attributable to the diverse motivations of flexible learners and lack of support at key stages of the study life cycle. DCU thus applied for and gained funding to produce resources that would attempt to bridge these gaps and improve outcomes for flexible learners. DCU’s subsequent Student Success Toolbox, containing eight ‘digital readiness’ tools, and the Head Start Online course, piloted on the new Moodle MOOC platform Academy, aim to help potential flexible learners ascertain whether online higher education is right for them, how much time they have and need for study, their sources of support, and the skills they will need to be a successful online learner. Mark focused on the outcomes of the Head Start Online pilot course. Of the 151 users registered as part of the pilot, 37 were active after the first week and a total of 24 completed the entire course. However, Mark was keen to stress that learners were not expected to progress through the course in any strict or linear fashion, and completion/non-completion can thus be an unhelpful binary. Feedback from learners proved very positive, with the vast majority believing that they were more ready to become flexible learners, better equipped to manage their time, and more aware of the skills needed for online study after taking the course. Teaching presence: how we design, facilitate, and guide learners through experiences to achieve the desired learning outcomes. Sanna reported upon a range of approaches designed around the CoI framework, suggesting that it is possible to build social presence and give learners the chance to project their personalities online through simple ice breaker activities. Cognitive presence, meanwhile, can be developed through jigsaw learning activities. Cohorts are split into smaller groups of students who discuss and specialise in one specific topic before being redistributed evenly to new forums with specialists from each area and tasked with teaching their new group about their specialism. Teaching presence is built and threaded through each task by providing direct instruction, scaffolding understanding, facilitating discourse, and sharing personal interpretations of meaning. Discussion forums are often unfairly criticised, most frequently for lack of student engagement. However, Sanna’s position was that basic interaction is not enough to develop engagement and create new meaning. Her framing and examples of practice underscored the forum as a versatile, flexible means of delivering not just discussion-based tasks but collaborative exercises too. Virtual reality was resting firmly in the ‘cold’ part of the ‘what’s hot’ spectrum for about 20 years; but over the last 18-24 months it has leaped from the ice to the fire in a rapid way. It is now so cheap you can have it for 99p; which smacks the technology depreciation/throw-away market so hard in the face it may have to reinvent itself too (some people already talk of throwaway tablets). But what does it mean, and why does higher education care? If you want to find out about VR I’d point you back to a previous post, or you should search around the internet a little bit. It’s an emerging technology which places screens very close to your head, and sensors to know where you’re looking, to simulate you being in another environment. It also needs a computer to power the images you see, and the movements you make to look/move around it. Oculus Rift is a simple example of a complex tech landscape. Popularised when bought by Facebook for $lots the technology plugs into your computer and can provide you with an experience which some say is immersive, and others say is nauseating or induces cybersickness. But please remember, these are developer units; they’re not consumer friendly (yet – Q1 2016 isn’t far off). This sickness is as close as you may ever want to get to experiencing a software bug! 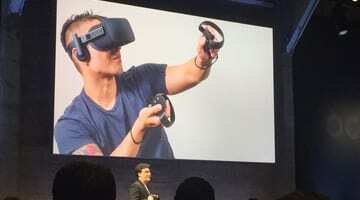 Oculus, and many others, share a similar trait – they need a powerful computer to use them. I’ve tried it on my Macbook Air – I had forgot the machine had a fan; it became too hot to touch (near the back). The lagginess from the ultraportable didn’t help the sickness. All in all, eww & gross. Some other laptops are better, but it’s still a little off-putting when you’re new toy needs to be put away and you need to go lie down as recovery. Google Cardboard was a mini-revolution in the VR field. 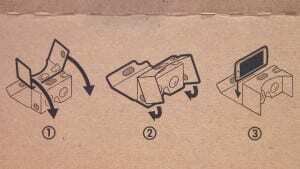 Being provocative, ‘not evil’ and generally idiosyncratic in their approach, Google released what seemed like the most basic VR product possible – Cardboard. This was a few years ago now but it enabled anyone with a smartphone to start playing/developing. Developers, techies and big children started buying these and exploring a new world. Your smartphone is insanely powerful for the size of it. It has a tiny display, a powerful CPU and GPU, motion sensors, location awareness, it is personalised and portable. Slotting it into a Google Cardboard now makes it a Virtual Reality device; as it can show content and sense your every movement. It’s also low-threshold, in some sense, because you are already comfortable with it. Video on smartphones is already mainstream. So what about 360, spherical or immersive video? One example is vrse.works who released two documentaries; Clouds Over Sidra and Waves of Grace. These two UN-backed ‘films’ were two, touching, compelling and utterly enthralling pieces of cinematic content. Watchers in a UN building, somewhere nice and safe, watched in Clouds Over Sidra how Sidra, a young girl in the Za’atari Refugee Camp and having fled from Syria, would offer a chance to explore her world. Chris Milk, Director at vrse.works commented in a TED talk how VR can be a bridge to empathy for the experiences of others. 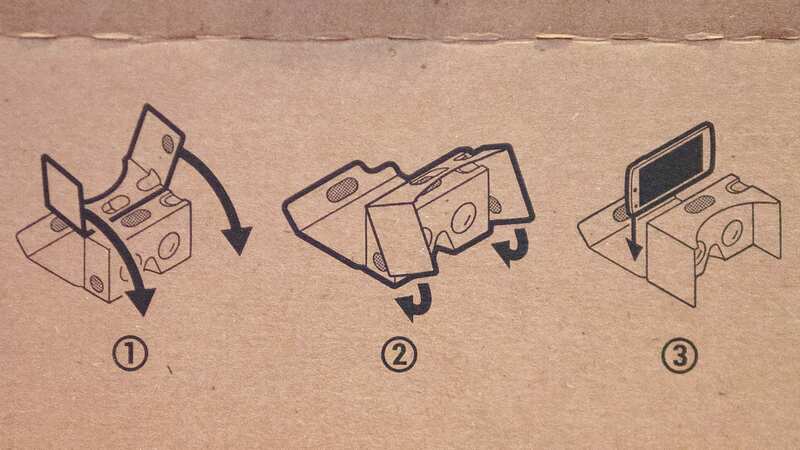 Google Cardboard wasn’t technically doing too much; it’s a complex puzzle the first time but you’re folding cardboard, adding lenses and sticking on a magnet. Children can do this; and many will this Christmas. The reason why? Cheap manufacturing has taken the cheap Google Cardboard and made it as cheap as the market can go; 99p! I have hunted on eBay and bought four of the rival offerings. I’ll report back with which is best, but from experience I am sure they’re all the same. People are already making this content and there is a whole YouTube channel dedicated to it. There are also an increasing amount of apps for games, simulations, experiences, stories, social networking, explorable environments and more. So what about higher education? Video is the first logical step for changing HE. Who has not tried, or considered, lecture capture yet? Obiquity is likely but not so for VR, not yet anyway. To make 360/VR/spherical video you’ll need at least a 360 degree camera, which are also still quite expensive. But with this you’ll be able to capture any environment, action or event that is taking place. The trick isn’t necessarily in the editing, it’s in the experience you’re trying to capture. Imagine a researcher on a field trip; taking the watcher to a place they simply couldn’t go. Lab experiments can capture multiple synchronous events. How about an event that is so hard to replicate that you’ve only really got one shot – a rocket launching, blue moon Panda birth-type thing. The kind of event you want to capture but can’t even predict what should be in the frame, and what shouldn’t. 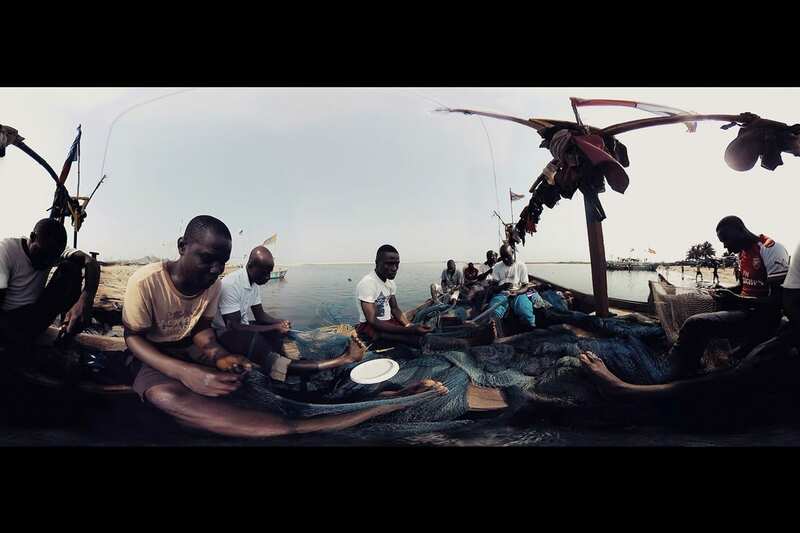 VR video offers the playback of the whole environment, the viewer choses what to watch. It’s experimental now; but the power shifts towards the experience of viewing. Additionally; cameras can go when you can’t send a person; a volcano, to Mars or into the body – all quite tricky. Proper VR needs a powerful amount of hardware; 99p VR does not. Video is a way in. You need a smartphone. The cardboard on it’s own is only going to distort the back of a pice of cardboard – very real, not very virtual. The official Google Cardboard app is for Android and iOS and it has a load of great content already (and more coming). It’s 99p. It will not feel comfortable, it’ll break, get dirty easily and probably not hold all types of smartphone. The really cheap ones don’t come with a strap for your head, so it’s hands-up to hold it. They are not shaped to any head. Throw it around, take it places and share it with people. It’s so cheap that 99p cardboard VR is worth the experiment if you have a smartphone. Also once used (or you’ve got bored of it) pass it on. Someone else can try it. VR is nauseating but it also bring people right into an experience. Bugs will be fixed, hardware will improve, but this lack of gap between cheap and professional is similar to disposable cameras and SLRs. Say what you will about the smartphone requirement but it’s ever-more true that the world is connected via these devices. If they can also deliver a VR experience (and soon, capture them), imagine what’ll it be like when we’re all making the content too. It’s unlikely to become an immediate new must-have, but VR is coming and lodging itself in. I am learning, but the power of giving cheap VR to distance learners is certainly something to keep an eye on. This is one of my topics for exploration during 2016. I think it offers a unique and unchallenged method for connecting remote people to important things. We’ll see where it goes. BoB (Box of Broadcasts) National is an innovative shared online off-air TV and radio recording service for UK higher and further education institutions. Staff and students can record programmes from 65+ TV and radio channels. The recorded programmes are kept indefinitely in an media archive, which currently stores over 2 million programmes and are shared by users across all subscribing institutions. The archive also includes searchable transcripts and one click citation referencing. The recordings can be set before or after the broadcast (30 day recording buffer). The programmes can be edited into clips and shared with others. They can also be embedded into Moodle. I’ve just watched Professor Keith Devlin of Stanford and a colleague being interviewed about their first experiences of running a MOOC last September. The interview touched on some of the lessons they’d learned which they’re hoping to use to improve the second iteration of their popular MOOC on mathematical thinking. The second version kicked off a few days ago on the 4th March. I enjoyed the interview and Professor Devlin’s obvious enthusiasm and humility regarding his role as teacher made it easy to warm to him as a person. Some interesting points are made regarding changes to the course after analysis of the demographic and feedback from students. Much of the discussion revolves around the importance that Professor Devlin places on trying to put a human face to a ‘dry’ subject made potentially even dryer by it’s mode of delivery. The interview suggests that the team have succeeded, at least to some extent, in creating a feeling of instructor presence resulting, they think, in students committing more to the course than they otherwise might have. 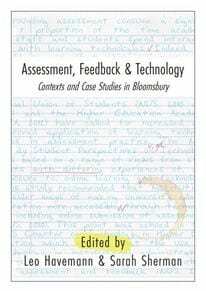 Worth a look for anyone interested in the development of distance learning, but also interesting perhaps for tutors involved in the teaching of large cohorts of students and also concerned about issues of de-personalisation. Unfortunately you have to create a Coursera account to view the interview which forms part of the introductory material to the new course – fortunately it’s free!